Tristan Pietz did a little bit of everything offensively for Shepherd Hill. Led by three goals and four assists from sophomore attackman Tristan Pietz, Shepherd Hill scored a huge road win against Oakmont, pushing the Rams one step closer to the postseason. 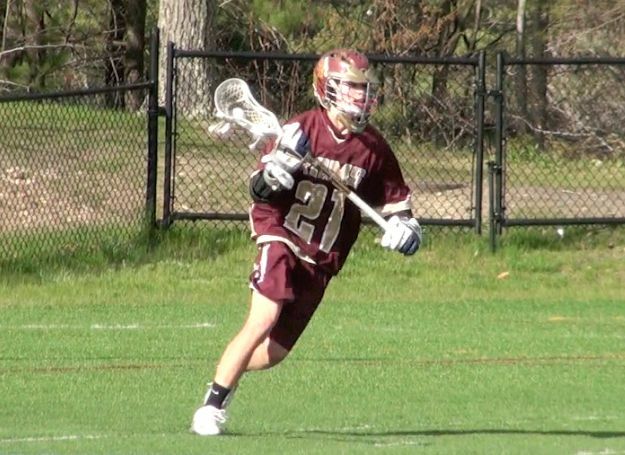 Shepherd Hill (7-8) is now just three wins away from a tournament berth, while Oakmont (6-5) remains alive in the hunt for playoff lacrosse as well. Tristan's brother Devin chipped in a hat trick of his own for the Rams, plus an assist, and junior middie Jake Zablocki did the same. Nate McCartney led the way for the Spartans with a hat trick and an assist. Check out our full game highlights, along with player interviews, below. Shepherd Hill Downs Oakmont from Joe Parello on Vimeo. Right you are! That's what I get for just reading the final score book and not adding the goals up. Doing video can make you a little lazy when it comes to numbers... Anyways, good catch. Thanks for the heads up!